Markets do not necessarily and automatically solve the problems of poverty and even where a strong economic growth has reduced poverty considerably, as in China, India or Vietnam, some quite ugly aspects of this growthmay still prevail. When we advocate market approaches to development in this publication, we certainly do not make such an assumption, for they do more often fail than deliver – as we shall see. This publication is, by far, no naïve or romantic plea for neo-liberal ‘laissez-faire’ approaches. It is a plea for market-based interventions that unfurl and unleash the power and energy of market forces in the right direction: towards poverty reduction, or pro-poor growth. What can a market normally do, and what can it not do, with respect to poverty reduction? 1. Markets of the poor are less attractive: There is a well-known book entitled: ‘Marketing to the affluent’, but there is no corresponding book ‘Marketing to the poor’. With C. K. Prahalad’s book on the fortune that lies in waiting at the ‘bottom of the pyramid’, this omission has been slightly corrected and we shall discuss in more detail how radically new business models can energise the markets at the bottom of the pyramid to become attractive and viable. Usually, what is lacking is the critical mass in terms of market volume. 2. Products for the rich are not suitable for the poor: A person who is hovering around the poverty line does not have the purchasing power to invest in ‘inventory’. Rather than buying a ‘jumbo’ discount package of shampoo, they have to buy it in sachets or one cigarette at the time. All those products that cannot simply be packed in sachets should be totally re-designed or brought to the market in form of leasing and / or rental schemes, as poor people can usually not afford the upfront investment. Paul Polak therefore proposes a radical design revolution and invites designers of this world to design products for the ‘other 90%’ rather than focus on an improved iPod or perfume bottle for that 10% of the market which is already saturated, peopled by those who have everything, and are sated, if not perhaps satisfied. 3. Market forces are usually not inclusive: Although, two centuries ago, Adam Smith argued to the contrary, weaker sections of the population cannot easily compete in markets. Even their ‘strength’ of commanding very low salaries may not always be a winning argument to include poorer segments of the population. This is mainly due to barriers in the form of technological, economical, social or skill deficiencies. Very often, their inclusion comes associated with higher transaction costs. Before Mohammed Yunus devised a new way of doing business with the very poor, the transaction costs for microfinance were too high and the poor were excluded from credit – they were seen as being not bankable.4. Transaction costs must be reduced through better organisation: Whereas small businesses in developed countries are highly organised in order to defend their competitive advantage, the economic sectors of the poor are totally informal in nature and scattered in structure. This leads to very high transactions costs: small farmers have neither enough volume – nor the working capital – to sell entire truck loads; their need to sell in small quantities carries high transaction costs. Typically, the way out is to do a deal with a middleman who comes with a truck, collects small amounts of crops, packs and sorts them, and puts the high profit margins into his pocket. C.K. Prahalad’s book: “The Fortune at the Bottom of the Pyramid” is about “eradicating poverty through profits”. He argues that over 4 billion people are poor and represent a huge market, despite their reduced purchasing power. In order to develop and exploit this fortune at the bottom of the pyramid, it is essential to re-design the conventional business models completely. Simplistic approaches have equated BOP with the “sachet revolution”, the marketing approach to package shampoo and other items in sachets to make them affordable to poor people. Pralahad’s approach has also been criticised as being neo-liberal and driving poor people into buying useless products and into overspending: the controversy was turning mainly around “Fair and Lovely” a cosmetic product by Hindustan Lever that supposedly makes dark skins brighter. This is indeed a product that is sold in the remotest villages in South Asia… but whether it eradicates poverty remains to be seen. 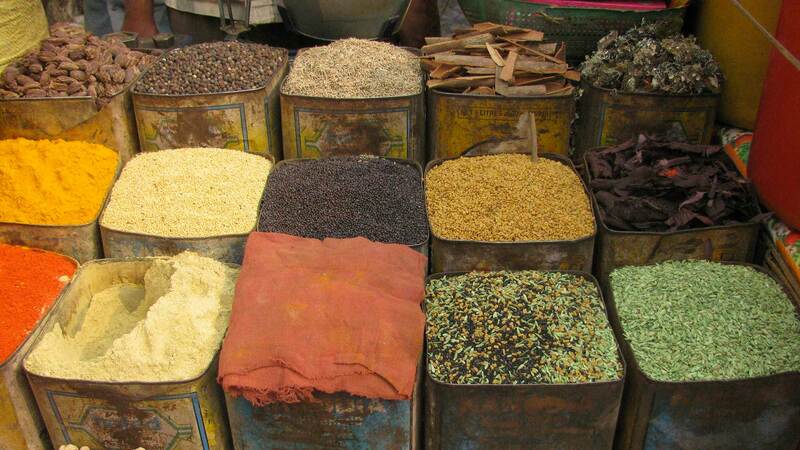 The market creation approach aims to go beyond just exploiting BOP markets. It is acknowledged that markets do not initially exist for safe water, sanitation, reforestation and mosquito nets. These markets must be created by public investments: the private sector can not invest in public health or other development domains such as hygiene awareness, malaria prevention or organising small farmers into viable production units. As the purchasing power of poor people is indeed very limited, smart subsidies may be needed to reach the poorest and most vulnerable groups.